Pack It | What's In My Carry-On Bag | hi Sugarplum! Welcome back, friends!! I hope you had a fabulous weekend. We did a lot of nothing, and after last week’s craziness, it was perfect! 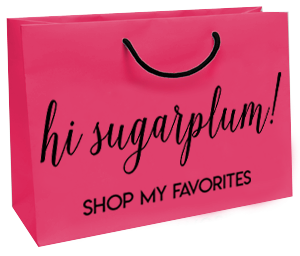 I’m venturing back to Nordstrom today, but this time with Mama Sugarplum! I’m excited to see which pieces she’s drawn to, and ends up keeping! I’ll share later this week when the NSale goes live to the public! I’ll address that second question in a post soon, but the first question cracks me up because it shows how observant you are when I post my travel styles (see my most recent ones here and here). I flew in my favorite flat sandals (because they are crazy comfy and so chic), but had tons of you worried about my poor, cold feet. Which reminded me that I’ve never technically and officially shared everything in my carry-on bag for long flights! Nor the little genius Sleepbuds that make travel so much more enjoyable! Since I’m the one responsible for toting this bag through the airport, I try to pack it light…sticking with just the essentials. And after countless miles traveled, I’ve figured out the items I really need. Chargers & Adaptors // Charging cubes and cords for computer, camera, and phone all go in one accessory bag. It’s helpful to have them with you in case of delays or long layovers. 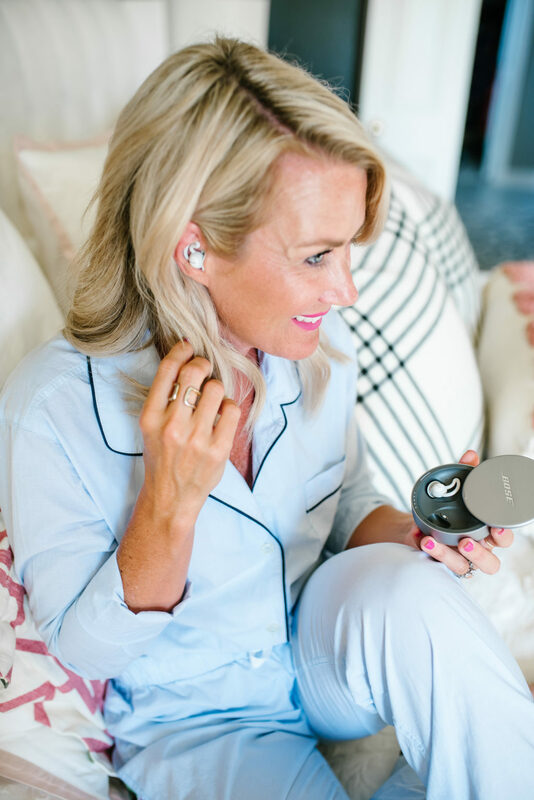 Bose Sleepbuds // These miracle earbuds are not only noise canceling, but they’re also a sound machine! (Bye-bye chatty neighbor, fussy baby, Captain’s announcements, and overall plane buzz!). Headphones // Most planes have personal entertainment screens now, but don’t provide headphones…so I’m always prepared with my own set. Laptop & Case // Thanks to the miracle of in-air wifi, I’m usually able to get a fair amount of work done on flights. Or at the very least, access the airline’s entertainment website if individual screens aren’t available. Glasses & Case // Because I can’t see past a 3-foot radius. Notebook & Pen // I always have a notebook with me to jot ideas, thoughts, to-do lists, etc. And a pen is always handy, especially for international paperwork. Book // If you’ve ever endured a cross-country flight with no books or movies, you understand why I never travel without a book now! Saline Nose Spray // As unattractive as it is, I use this on long flights to keep my sinuses hydrated. Pain Reliever // Someone always gets a headache, so I come prepared to nip it in the bud! Lip Balm // Lips need constant moisture, too. Snacks // We can no longer rely on airlines to keep us fed, so I always have a handful of snacks ready to ward off the hangry beast! Gum // Helps with ear popping and freshens your dank mouth after a long flight. Travel Toothbrushes // Just before landing, I spend a few minutes freshening-up in the lavatory. You may feel bleary-eyed and haggard, but a fresh mouth, combed hair and moisturizer goes a long way to help you wake up and get on the new time zone. Cozy Socks // Yep, I even replace my shoes with these cozy socks. They keep my feet warm, and make it easier to curl up. So that’s it…the tried-and-true contents of my carry-on bag for long flights. Obviously I scale it down for shorter legs, but the core of it stays the same regardless. 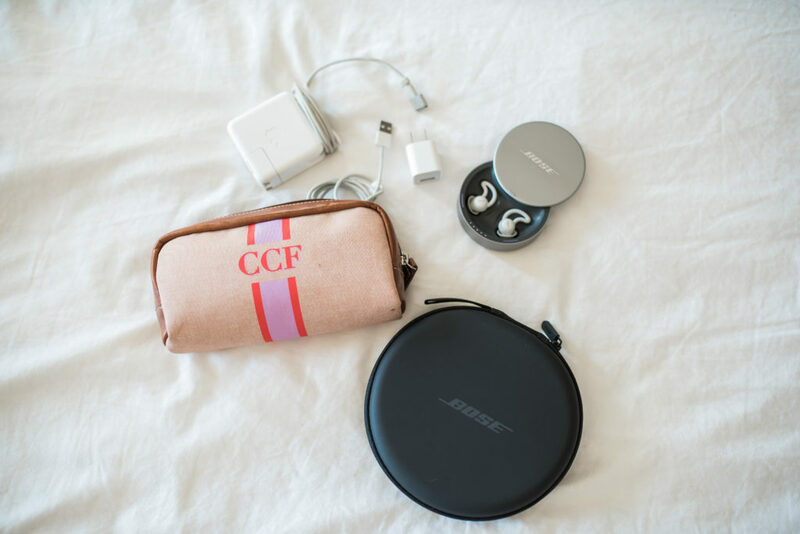 The Bose Sleepbuds are a new addition to my carry-on bag, but I’m already obsessed and so excited for the positive impact they’ll have on future travel! I used to travel with regular over-ear noise-cancelling headphones, but those are uncomfortable on my ears when trying to sleep. Plus, they make it hard to lay on your side, and are bulky in your bag. The Sleepbuds come in a compact case (it doubles as a charger! ), and fit snugly and comfortably inside your ear, so you can even lay on your side. I love its noise-masking technology, but even cooler is the built-in sound machine function! Simply download the app to your phone, and select the sound you like best (I’m a white noise girl all the way!). You can even set an alarm in the app that only you will hear. Well guess what Megan, you’re no longer subject to my white noise!! I can pop these comfy Sleepbuds from Bose in my ears and crank them up as loud as I want without bothering you! All my flight essentials are packed neatly in my carry-on bag…which most often is a large tote bag. Or if it’s Summer, I’ll choose a bag that doubles as my carry-on for travel, and a beach bag once we arrive. 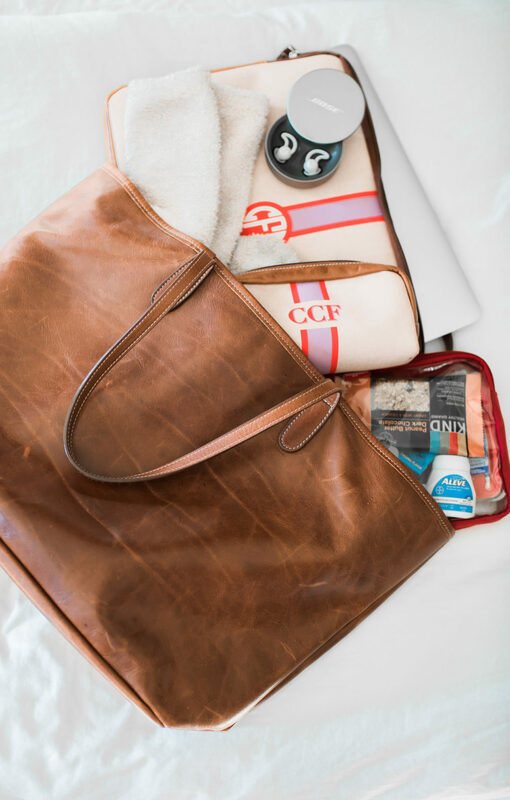 So tell me, what essentials do you always pack in your carry-on for long flights? Do you require white noise to sleep, or do you prefer complete silence? What other packing posts would you like? 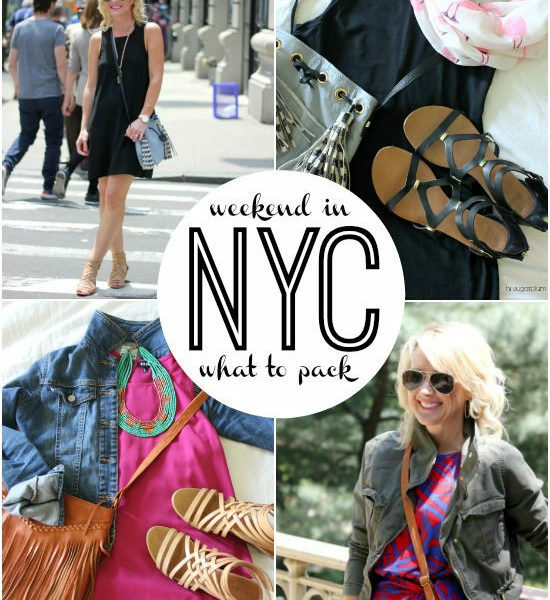 See more of my packing tips here, and the entire contents of my carry-on bag here. 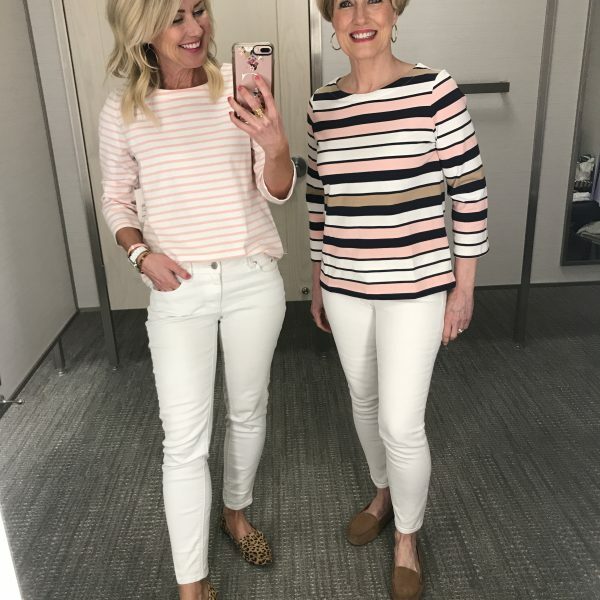 previous article: Dressing Room Diaries | Nordstrom Anniversary Sale Edition! Those headphones are FREAKING GENIUS! When I went to Mexico on a girl’s trip last year, I PACKED A MINIATURE FAN because I wanted the noise. Sounds like I need to get these headphones! Great post!! What is the pink polish on your nails, it’s such a perfect summer pink?! I don’t know why…but posts like these are my FAVORITE!! You could run away from home w/that yummy leather tote. And TSA must love you when they see how together your stuff is in it. Sorry, cannot do bare feet or socks on a plane-too many gross germs everywhere. And I’m not even a germ freak! Luv this post. xo. I cannot sleep without a fan or the white noise app on my phone. Those headphones are amazing! 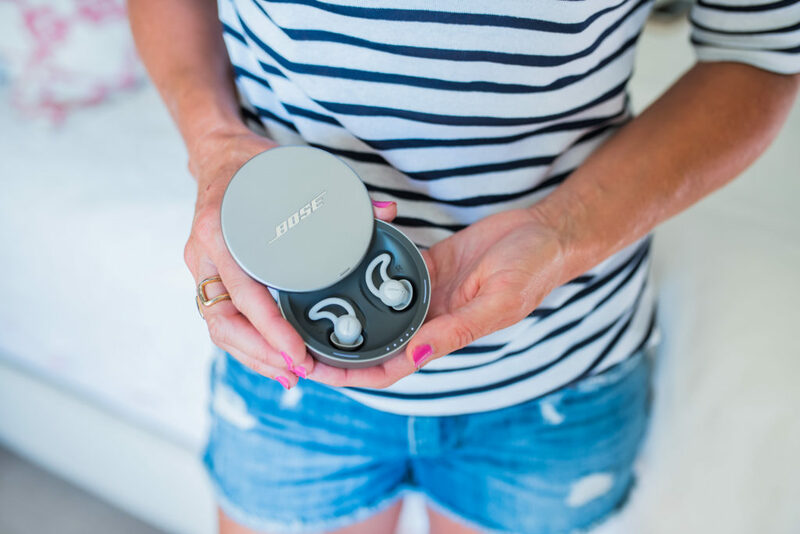 Love Bose, checking them out! Curious if anyone has tried these at home in bed? I bought the corded Bose earbuds- to block out my snoring husband and they did not do the trick actually. The snoring is a difference frequency and proximity (2 feet from me) was pretty close. It muffled it a bit but normal apple ear buds with music cancelled it more. When I tried the bose corded buds on a plane it was great for blocking the hum of the airplane, I could still hear my seat mate’s voice but it was muffled. Not quiet enough for me to sleep. That said, I’d pay $1000 for these if they actually block out snoring. Does anyone have any experience with these and that circumstance? Also! Cassie any idea on QVC return policy? (Ie if the snoring husband still wakes me?) thanks! I’d check directly with them to be safe!! When I’m wearing the, I literally can’t hear anything else!! Back to wearing sandals on the plane. I thought someone would have written you about this already, but sandals are a very bad idea to wear on a plane because of safety reasons. There is a reason flight attendants aren’t allowed to wear sandals or even open toed shoes. You wouldn’t want to be tumbling down an evacuation slide in sandals or having people tromp over you as they hurry to get out the aisle ahead of you. Sneakers (cute ones, of course!) with socks are better to wear and give you more stability. They also take a lot of room in a suitcase so there’s that too. 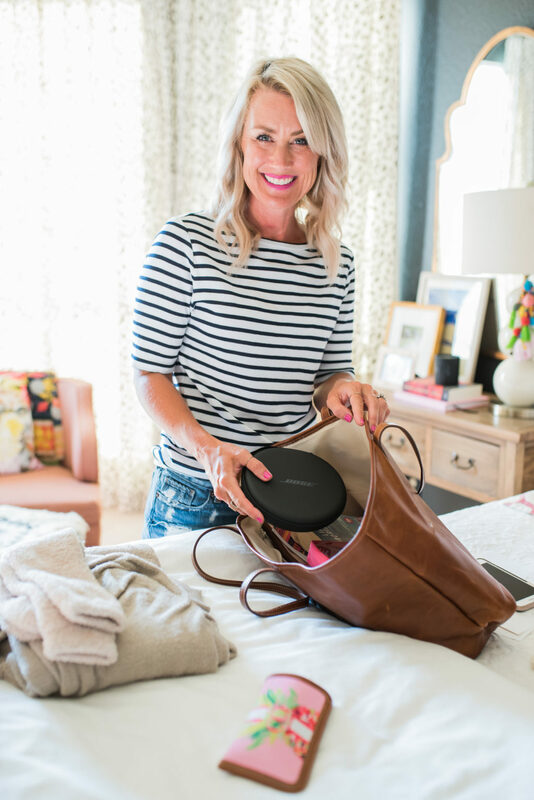 I pack everything in my tote almost exactly like you do…except for the Bose which I WILL check out. 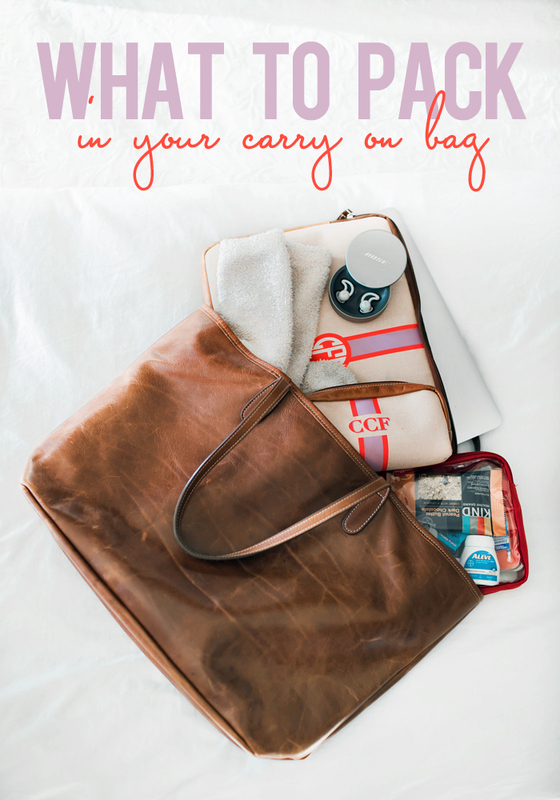 Also, Youtube has great videos made by flight attendants that give all sorts of tips on what to pack in your tote. Thanks for your absolutely great posts and down to earth solutions. Thanks for your great tips!! 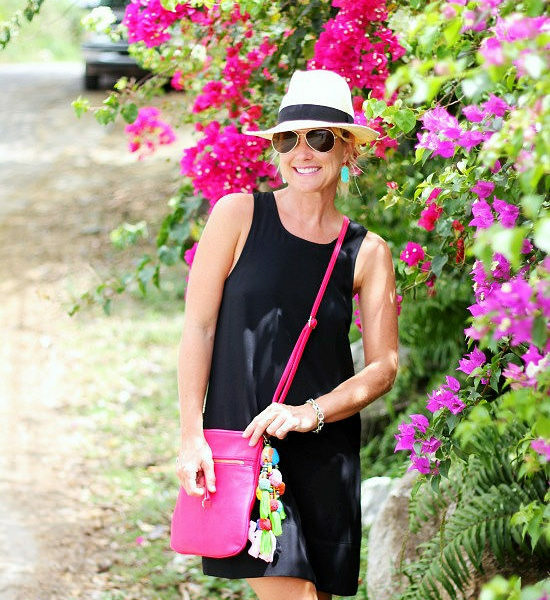 I love the pink stripe tote bag pictured in your post. Where can I find it online? I am getting ready for a trip to Spain and this will help alot. I am 5’3″ and my feet tend to dangle without touching the floor. I was considering one of those inflatable foot pillows for the long flight. Do you have this problem? Also I noticed you do not take any type of pillow for your head. Why? 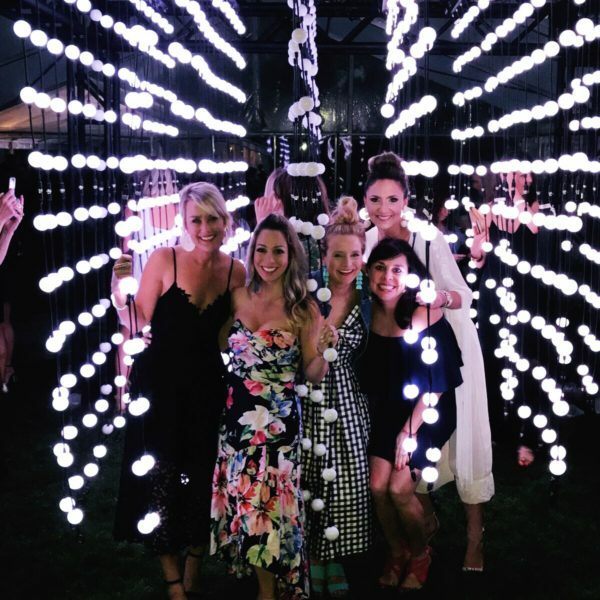 Susan – I’m 5’3″ as well and do use one of the inflatable foot rests and it is genius! If I forget to bring it, my husband will stuff his backpack under the seat in front of me so I can rest my feet on that. It really makes a difference. My feet don’t dangle, but I usually have them tucked under me on long flights anyway. As for a pillow, my cardigan doubles as one…or hubby’s shoulder! 😉 If it’s a sleeping flight, more often than not airlines provide the pillow. I’m terrible when it comes to packing a carry on (I don’t fly often (maybe once a year) so it’s a new struggle every time). My main problem is over packing since I usually fly internationally either to go down south in countries with little amenities or on long flights in Asia that require an enormous amount of entertainment to keep sane. So your suggestions will not be falling on deaf ears here! I am also a white noise girl!!! I have had an app on my iphone for years to play rain (my go to) every night. The spousal unit had to get used to it (but he generally sleeps with earplugs so no big deal). I can never sleep right with normal earbuds in my ear because it hurts them after too long. I’ll have to look into those bose ones. 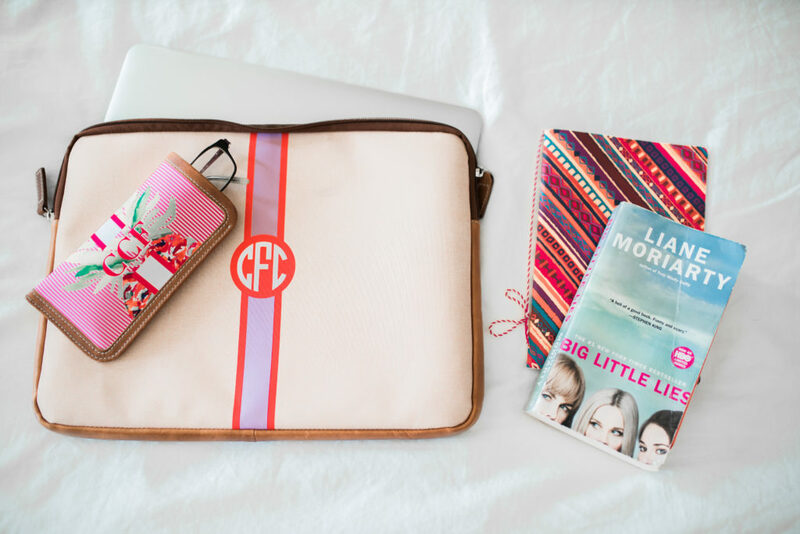 Where are your monogrammed laptop case and bag from? You are the absolute best! Organized to the max! Sleepbuds from Bose– I agree- Genius! Musicians have perfect pitch and hear every sound. This is the solution! Thank youuuuuuuuuuuuu. When you said you brush your teeth I just hope you don’t use the water in the bathroom. One thing I learned in the last few years is that you should NEVER wash your hands or use the bathroom water that comes out of the airplane sink for anything! There are studies testing that water and it is full of bacteria. The best thing is to use hand sanitizer after going to the bathroom, don’t run that sink water! I love your flamingo sheets! Where did you find them? They are Martha Stewart from Macys…several years old at this point though! Thank you! I was able to find some similar ones on Amazon! Wisps are the best for travel. A girlfriend gave me a package before I went on a big trip and I have been a fan ever since. I recommend them to anyone that has an upcoming trip. I love your monogrammed travel bags! As a flight attendant, I would agree with your list but hope you don’t walk to the restroom in those fuzzy socks without shoes! 😊 As we like to say, “it’s not water on the bathroom floor”. When I’m not working, but flying, I usually pack a light weight pair of socks and when we take off, they go on my feet. Light weight socks still allow you to wear your sandals. Also, pack a sweater or your cute cardigan since planes are usually cold, especially on international flights. If you’re on an aircraft without TV screens but they have entertainment, its best to load the player on the ground because the wifi in the air can be spotty. A player allows you to play the movies. Check with your airline for which player to download. 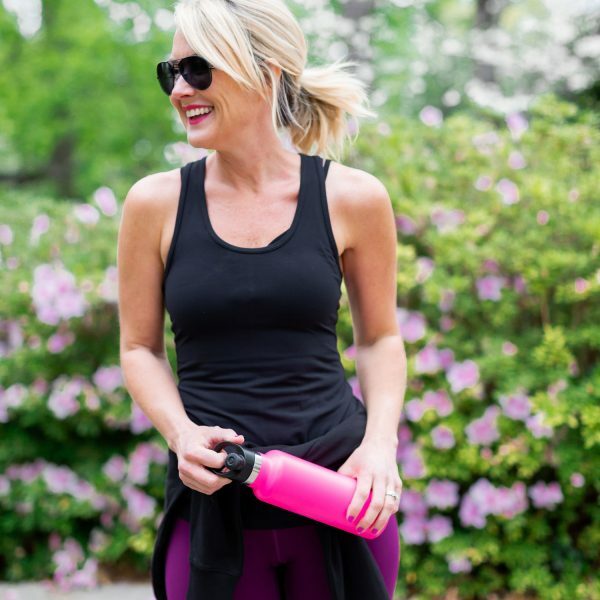 And, it’s always a good idea to carry a bottle of water. Sometimes even the crew is not allowed to be walking around. Safe travels! Great tips, Kathy!!! And yes, I always slip my shoes on over my socks!!! Great post! Thank you – one of these days I will be able to streamline my life… LOL. And I’ve heard horror tales of what’s on airplane “floors”… some will even “go” at their seats… shudder! Nooooooo!! Don’t tell me that!! I always slip my shoes on over my socks to use the bathroom though! First nd ear buds hurt my ears. Are these anymore comfortable than the others? I’d love to cancel out all the noise on flights, especially crying babies. Joanna-pardon me as I add my two cents here. Earbuds hurt my ears as well. I have ruined my ears using them while working out, etc. I’m going to take your advice and try on some. On my last trip to Amsterdam I was in the Econmy Comfort section for the added leg room. Unfortunately, they sat all the moms and babes two rows in front. They cried in tandem throughout the long flight. While I feel for the moms trying their best to comfort them, I hate arriving at my destination exhausted. Noise cancelling ear phones are going to be in my carry on for my October trip. 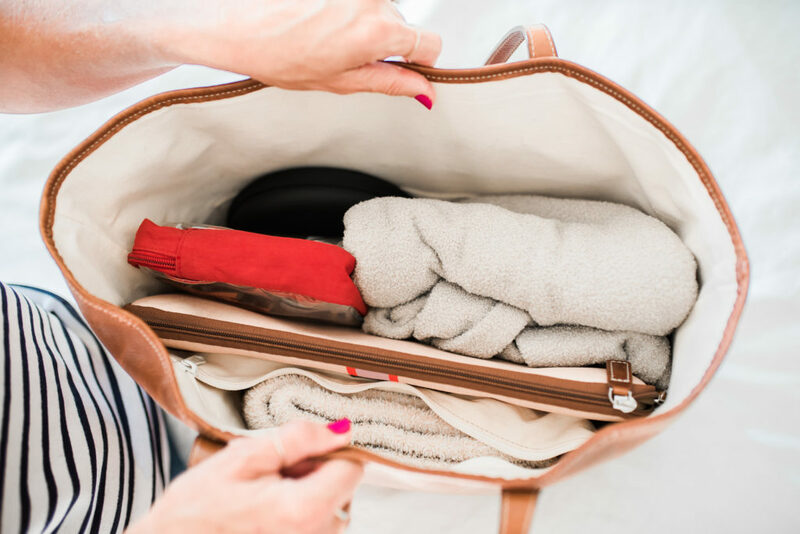 I also pack many of the same things you mentioned in my carry on, but one more essential thing is a change of clothes, or at the very least a change of underwear and a t-shirt, in case my luggage gets lost. My brother came to visit me in Europe a few years ago, flew into Zurich but, unfortunately, the airline had sent his luggage somewhere else. He arrived on a Sunday, and in many parts of Europe, stores are closed on Sundays, so he ended up buying Calvin Klein underwear at the Zurich airport (the only pair he could find) – probably the most expensive underwear ever purchased on this planet! His luggage arrived 3 days later!! Your bag looks a lot like mine. I have been eyeing the Bose sleepbuds. Please let us know if they go on sale! Great packing post! My essentials match yours, but I also carry a neck pillow and eye mask. After a lot of research, I have found the best in both. I use the BCOZZY travel pillow (Amazon) because it supports your neck on the sides better than any pillow out there AND doesn’t push your head forward. 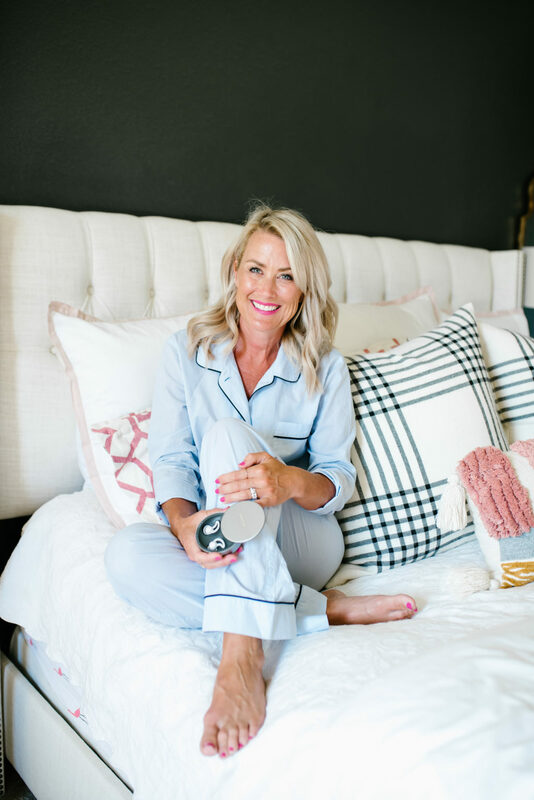 For eye masks, I have probably tried every version out there (I use at home, as well as travel) and the Manta Sleep mask is beyond amazing (blocks all light, adjustable eye pieces, lets you blink, and no velcro stuck in your hair!) Finally, I always bring an empty water bottle to fill after security, with my fav Truelime or Truelemon packets. Cheers! I just pack my jewelry and makeup, but always have a lipstick in my purse! 😉 And my purse is typically just a small cross body, because that’s what I use when I’m traveling. What about your wallet? 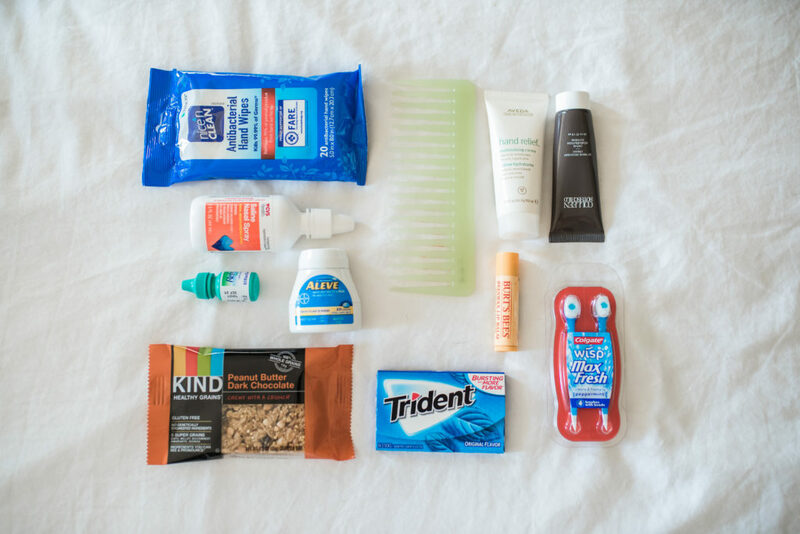 Do you keep that in your carry on or packed in suitcase? Great tips! Oh yes, I usually have my wallet, phone, etc in my purse, which is usually just a small cross body for travel. Hi Cassie! When you go through security, does the clear bag you use work for the “liquids” rule? I notice you don’t have a bag of just liquids, but that it’s all mixed together. That’s a great question!! We’re actually TSA Pre, so I don’t have to worry with that most times…but yes, the clear bag works for security! I asked for the Bose Sleepbuds to use on a recent trip. They work great here at home but not so much on a cruise (or flight for that matter) as the don’t work in airplane mode. Sadly it’s on the trips when I need them the most. Wait, they totally work in airplane mode!!! I used mine on all my recent flights, and on the cruise ship when I had no internet! The app just works via bluetooth, so make sure you have that turned on! I love them!! My only wish is that they were a little louder for the plane, but I sleep through everything at home!